Gionee has planned an event for July 26 and the just-approved Gionee M6 is most certainly the one to be under the spotlights. 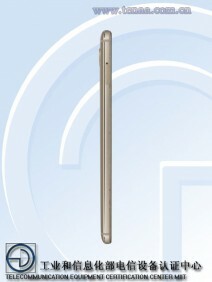 The phone passed certification today and is listed with the model number GN8003. 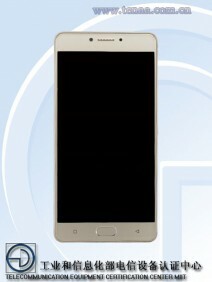 Traditionally, TENAA also revealed some of the phone's specifications. The Gionee M6 features a 5.5" AMOLED screen of 1080p resolution and is powered by a Snapdragon 652 chipset (4x Cortex-A72 and 4x Cortex-A53 cores) with 4GB of RAM and 32GB of internal storage (no microSD). The phone runs Android 6.0 Marshmallow and will have dual-SIM suppot. At the back, there's a 13MP camera sitting above a fingerprint sensor. The front-facing camera 8MP, but doesn't feature an LED flash. Inside the metal chassis, there's a 5,000mAh battery, which tips the scales at 185 grams. The phone measures 152.3 × 75.3 × 8.4 mm. 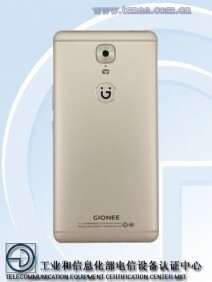 On July 26, the company is also rumored to launch the Gionee M6 Plus, but its specifications remain unknown so far. but you will not bored with the 5000mah battery. it will be more than two days from normal use or 10hours for the web on wifi. what? why? is gionee incapable of using snapdragon or do you see them as a cheap brand or something?